Families often struggle to care for an aging loved one, feeling overwhelmed and wondering where to even start. A relatively new profession, Aging Life Care Management, allows nurses, social workers,and other healthcare professionals to specialize in navigating families through a holistic approach to caring for these special family members. 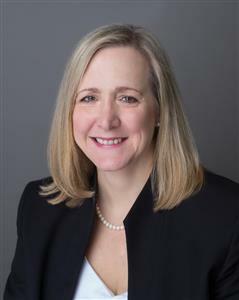 Gretchen serves as Chair of the Public Policy Committee of the national non-profit Aging Life Care Association and is Past President of the Southeast Chapter. Gretchen is the owner and CEO of LifeLinks, a premier geriatric care management firm with locations in Nashville and Raleigh. 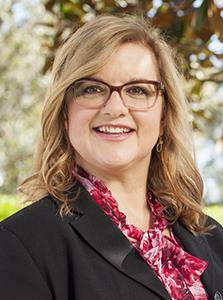 Prior to LifeLinks, Gretchen held a number of administrative and directorial positions in the geriatric care industry. While working as an assisted living administrator and publisher of a resource guide for seniors, she saw how easily aging adults can fall through the cracks of the healthcare system. Gretchen also repeatedly observed that broken family relationships and distance made caring for aging loved ones especially overwhelming. Inspired to improve the quality of life for older adults and their families, Gretchen joined LifeLinks in 2009 and has been developing the company ever since. Israel apologized for the attack, saying that the USS Liberty had been attacked in error after being mistaken for an Egyptian ship. Both the Israeli and U.S. governments conducted inquiries and issued reports that concluded the attack was a mistake due to Israeli confusion about the ship's identity, though others, including survivors of the attack, have rejected these conclusions and maintain that the attack was deliberate. Unpublished documents reveal an Andrew Jackson who committed mutiny and shed tears as he thought his mistakes would lead to the deaths of teenage soldiers under his command. Indians saved him. The backwoods Jackson, who had never commanded a battle, presumed to take on the mantle of General George Washington. Before Jackson became the next general to drive the British Army from American soil, he first had to defeat the commander of the U.S. Army, General James Wilkinson. Wilkinson embodied a privileged and unproductive establishment. Worse, he had sold his loyalty to work as a spy known as "Agent 13" on the payroll of a European enemy. It was a battle of wits and wills between two American titans. The missing piece of Jackson's biography is how he was transformed into "Old Hickory" by challenges that would have crushed almost anyone else, an intense will to succeed, and an ability to recover from his own mistakes. Tony L. Turnbow has studied the history of the Natchez Trace for more than 30 years. He practices law in Franklin, Tennessee. With a Bachelor of Arts and a concentration in southern U.S. history from Vanderbilt University and a Juris Doctorate from the University of Tennessee College of Law, he has continued to use his training to explore unpublished primary sources about the Natchez Trace. He authored "The Natchez Trace in the War of 1812" in The Journal of Mississippi History, and he has published articles in the Tennessee Historical Quarterly and the Lewis and Clark Trail Heritage Foundation journal "We Proceeded On." He also wrote a full-length play "Inquest on the Natchez Trace" about the mysterious death of explorer Meriwether Lewis. In the course of writing a book about Lewis's death, Mr. Turnbow discovered unpublished accounts of Andrew Jackson's 1813 Natchez Expedition. 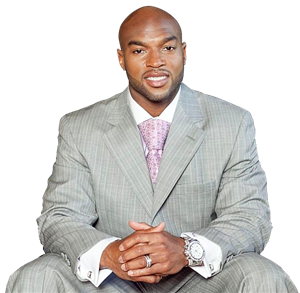 Through his experiences on and off the field, former Tennesse Titan and Super Bowl champion for the Steelers, Chris Hope, provides practical, inspirational, and biblical answers to show you how to set healthy boundaries with your parents, spouse, children, friends, coworkers, and especially with yourself. In P.R.O.S. Hope shows you how to bring health to your relationships, You’ll discover how to reclaim your freedom to walk as the loving, giving, fulfilled individual God created you to be. We talk about food insecurity a lot. Over 360,000 Middle and West Tennesseans are food insecure, our feeding programs aid food-insecure families, children, and seniors, and every year we strive to lower food insecurity rates in our community. But do you know what food insecurity means? According to the U.S. Department of Agriculture (USDA), food insecurity is a lack of consistent access to enough food for an active, healthy life. Under the umbrella of food insecurity, the USDA differentiates between low food security and very low food security. Someone facing low food security is eating a diet of reduced quality and variety. For example, a family who relies on fast food for the convenience and low price has low food security. They’re eating meals, but those meals are low in quality and nutrients. A person facing very low food security not only has reduced access to nutritious food but also goes through times where there is nothing to eat. This could be a senior whose SNAP benefits run out toward the end of the month, so they go without eating until their next check arrives. In Middle Tennessee, we see a full range of food insecurity. It’s through your support that we can help our neighbors in need and bring the number of food-insecure individuals in Middle and West Tennessee down to zero. Of the 312 pilots and scientists previously selected as astronauts since 1959, 180 were Scouts at one time. The new STEM Scouts pilot program would like to dwarf this number with astronauts produced by our STEM Scouts program. As you may now be aware, we are well on our way and a have mission to Mars Camp coming up in April of this year. However, before we can get our girls and boys into space we need to teach them how to use existing and developing technologies to build self-sustaining colonies. This requires for example, building self-sustaining energy grids, infrastructure, and micro economies. We believe this is where STEM Scouts comes in. Our STEM Scouts program is focused on incorporating new and existing technologies into a curriculum that, prepares the future space travelers of earth, with a curriculum that focuses on science, technology, engineering, and math while reinforcing the time-honored traditions of the Scout Oath and Law. Moreover, the program is open to both boys and girls in grades 3-12, outside of school hours. Our individual Lab groupings are called "Labs." Our program breaks Lab groups into three categories: elementary (3rd-5th); middle school (6th-8th); and high school (6th-12th). Labs meet weekly for an hour and a half and are led by volunteers (trained by our staff). The students and their two volunteer leaders (Lab Managers) choose the 4-6 week modules they want to study. Modules cover a variety of disciplines through hands-on, inquiry-based learning activities and experiments. STEM will provide most if not all necessary instructions, materials, and supplies for the Lab science experiments. In addition, we work to incorporate STEM professionals as guest speakers. After building this amazing program over the last three years, we believe that STEM Scouting provides a no-pressure, inquiry-based environment for a wide range of students, their friends, and their parents that and cultivates a passion for STEM sciences. Our Nashville and regional markets have revealed that the local STEM business community itself is acknowledging, and taking action, to involve local youth, especially young women, in the STEM sciences to address the disparity of employees to fill the explosion of STEM jobs in the global economy. Our local STEM Scouts program currently serves over 280 STEM scouts; almost half are young ladies. We are personally very enthusiastic about this amazing organizational mile stone! We hope to explore serving the youth of our planet together! Marsha Blackburn was elected to the U.S. Senate in 2018, and is currently serving her first term representing the state of Tennessee. 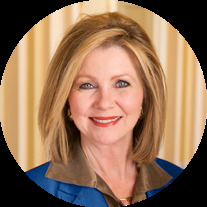 Before her election to the Senate, Marsha represented Tennessee’s 7th Congressional District. Marsha’s public service is dedicated to promoting opportunities for women and making America a more prosperous place to live. Marsha’s leadership philosophy is based on her experiences in the private sector as a small business woman and author, as well as being a mother and grandmother. 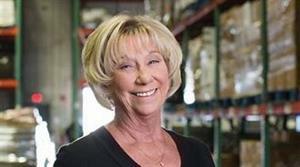 Marsha went to college on a 4-H scholarship and worked her way through school selling books for the Southwestern Company as one of their first female sales associates, and later as one of their first female sales managers. She then became Director of Retail Fashion and Special Events for the Castner Knott Company, which was a Nashville-based regional department store. Later, Marsha founded her own business, Marketing Strategies, which focused on the retail marketplace, as well as electronic and print media. Marsha began her career in public service in 1995 when she was named executive director of the Tennessee Film, Entertainment, and Music Commission. In 1998, she was elected to the Tennessee State Senate. In the state legislature, she earned a reputation for fiscal responsibility and government accountability by identifying waste and offering realistic solutions to Tennessee’s budget challenges.